Online ordering menu for Tank Noodle. 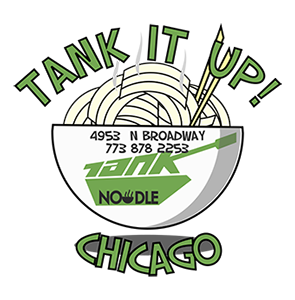 Cultured around Vietnam, China and Asia, Tank Noodle Restaurant thrives on providing the best traditional dish in Chicago. Built with the help of family, Tank provides a cozy community on the corner of Argyle street and North Broadway. In addition to our tasty Pho, we serve Banh Mi Sandwiches, Rice Noodle Soups, and Hot Pot dishes. Try one of our chef's specials such as the Squid with Pickled Mustard Greens, Roasted Quail, or Bitter Melon & Shrimp Soup. We're near Foster Beach and Montrose Beach! Order online for carryout!